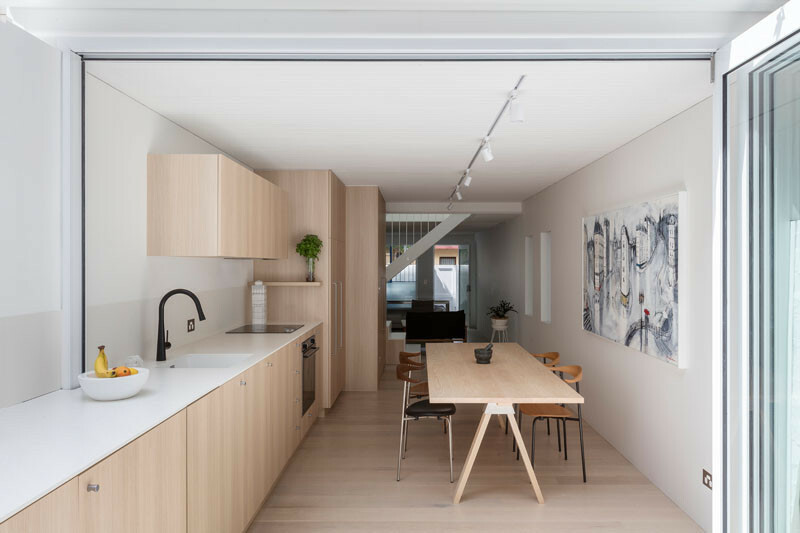 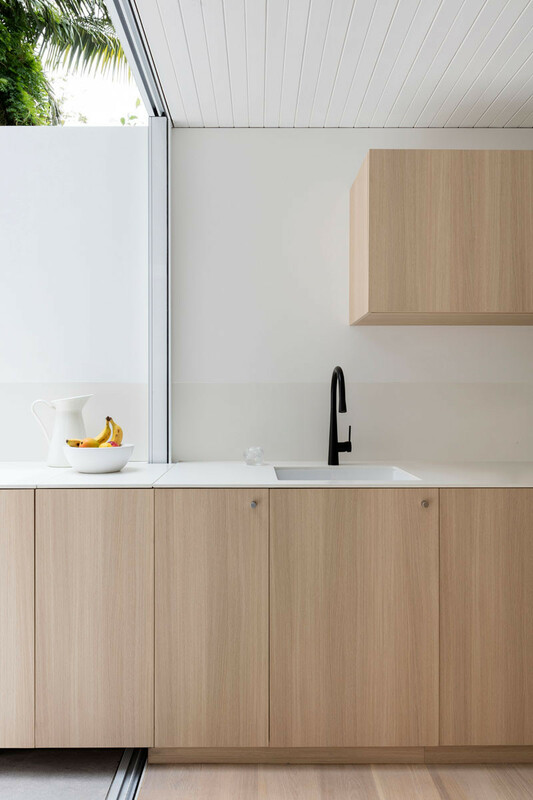 As part of an addition to a small house in Sydney, Australia, architecture firm Benn+Penna designed a kitchen that flows uninterrupted from the inside to the outside. 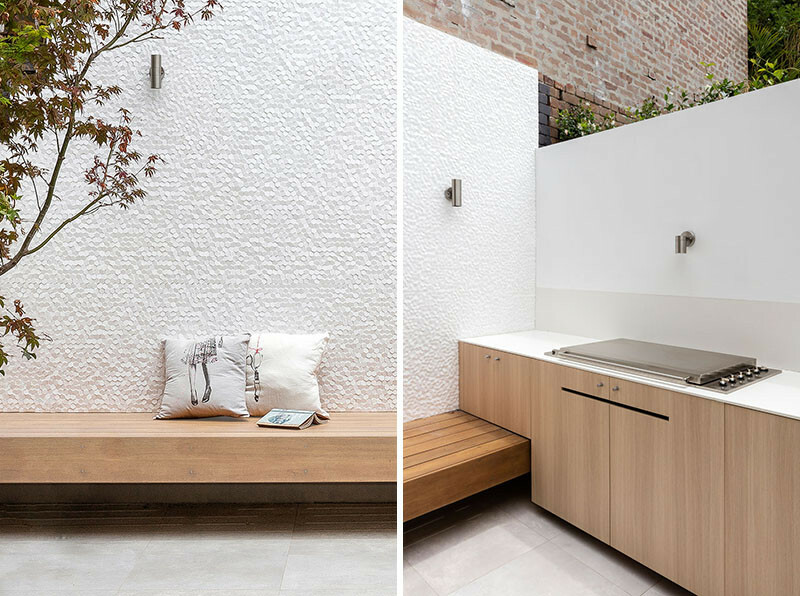 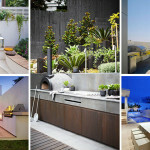 Outside we can see the courtyard has been designed to include a bench for relaxing next to the BBQ, a necessity for any Australian home. 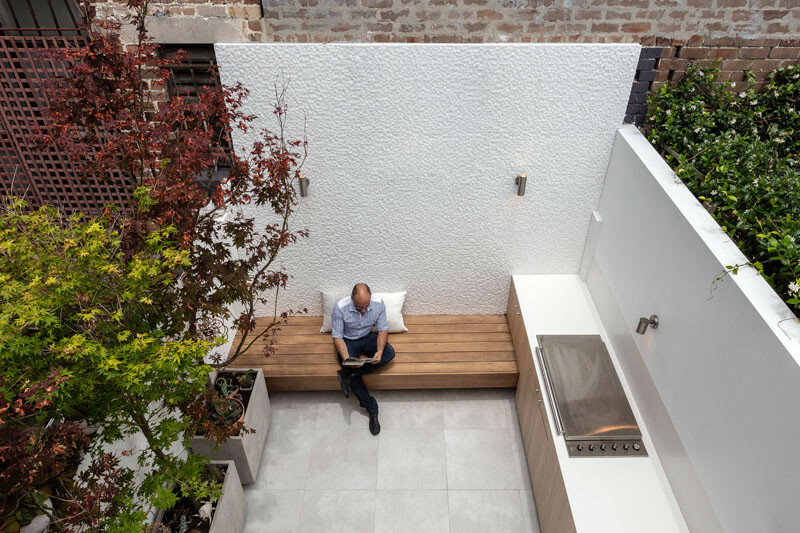 The kitchen has been laid out to flow from the BBQ outside, all the way along one wall until it finds itself inside the home. 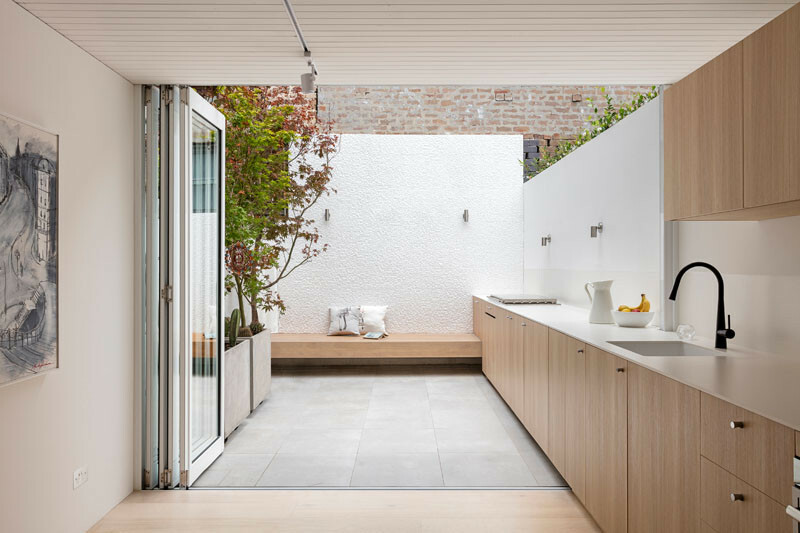 When the folding doors are open, the courtyard becomes an extension of the kitchen and dining area. 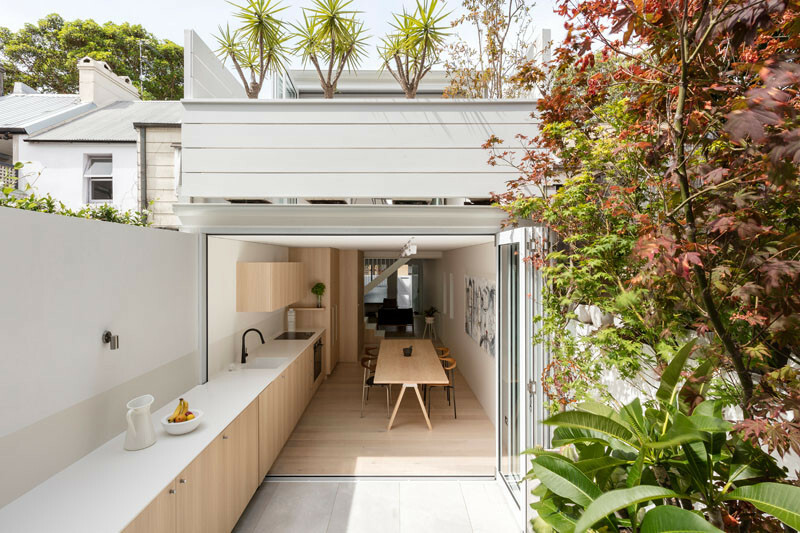 Here is the view from the courtyard to the front of the home. 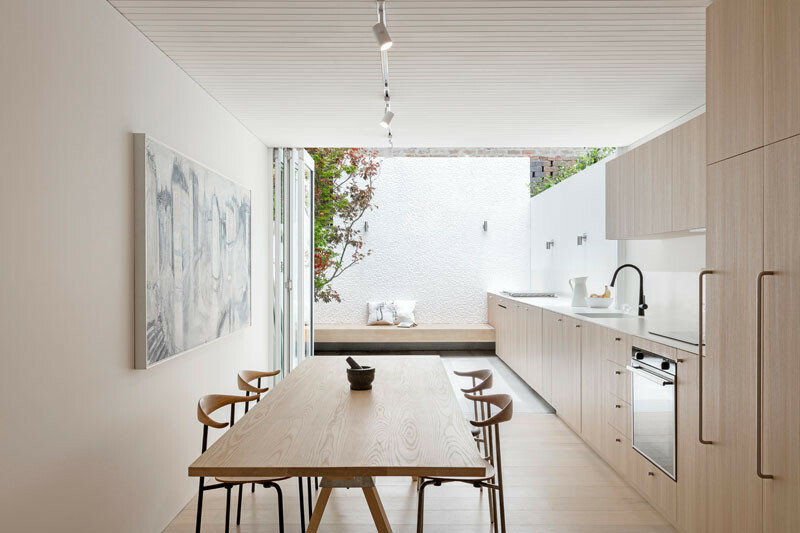 The linear kitchen design along one wall leaves enough space for a good sized dining table to be included, even in this narrow home.